For the military discharged actor list, I choose #6 and #1 but actually prefer seeing SHS with Lee Jae Hoon, that would make a good drama with superb acting clash. Just my imagination again that paring SHS with him as MC may have something for speculation, to test their chemistry on appearance and audience acceptance, probably we will see this couple in an SBS drama in the 2nd half of the year (finger-crossed). I think the script already sent out to both now, but they just kept secret. I think you're onto something. I totally agree. See below for more. Also, may I just say that her award look is one of, if not the best, looks she's ever done. I absolutely loved it! Stunning, stunning, stunning!! Yes, she has gifted us unworthy minions with much. 2019 has already started as a fabulous new year! and realized that SHS is starting to follow in the steps of, well is actually ahead of the pace of, names like JJH and Gong Hyo-Jin. How many actors and actresses had Excellence and 2x Top Excellence prizes in the bag before turning 30 y.o? I noticed Lee Je-Hoon got his first top excellence in 2014 also thru SBS and did very well this past year thru the movie "I Can Speak", which I recommend. The point of my rant here is that in 2 short years since most of us here started hearing the name Shin Hye-Sun, she has now become a household name! And in terms of qualifications, many on the list of 9 men coming back this year, well, they are the ones rather under-qualified, so to speak, if I were the PD and was going thru their proverbial Korean 'specs' to match as a cast member across Shin Hye-Sun in a role! So, yes, #1 and #9 will do, I see that they have some hardware to match my girl, so please proceed to the next level and wait. And yes, #6 and #5, too!! Bring the boyz home and line 'em up! Stand tall and look strong! Goddess Shin will look you over. I agree on this too. It probably meant something. Just like how she was arranged to be seated with YSJ at the Baeksang Awards. They already knew at that time that they are confirmed to work together, just that it wasn't announced publicly then yet. My choices are made for their "quality" and popularity/fame. It will do our girl more good than bad. #9 is considered a big star and he's not a bad actor. Pairing up with him probably will pave the way for more people to know and appreciate her. Whoever worthy in terms of acting chops, star power and considerable height are welcome to come and be bowled over by her. Me as a spoilt brat fan is fussy and picky. No any Tom, D or Harry for our baby Hyesun please. L is already not going down too well with me but considering he's got that bit of star power and that she's already accepted so I will tell myself it's never going to get any worse than that you-know-who co-star (no offense if his fans sees this though i doubt there are any in this room hahaha... but I'm direct and don't wish to minced my words) . Added: Just saw this news!!! 드라마 시청률 보증수표! 믿고 보는 배우 3위 '신혜선' 2위 '서현진', 1위는? Those 9 men should have spent the past two years cowmoding their acting careers, rather than frolicking about the South Korean wilderness, wearing berets! "Shin Hye Sun vs Model : Same dress, different feeling...elegant"
This one about her coming movie (nothing new but I'm so glad that she was the first one mentioned ). Oh...I am so happy reading this one. (now we can see more news articles using her photos from awards ceremony which I am really glad that it means people now appreciate both her acting and appearance). It is anticipated that the appeal of Shin Hye Sun, who has been greatly loved by the act of capturing the eyes of every work appearing in the drama, will be able to be seen on the screen as well. 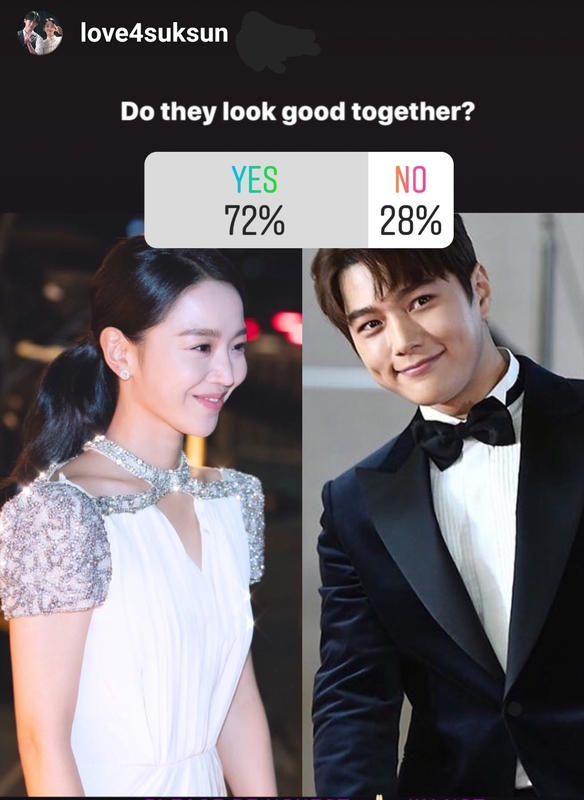 Shin Hye Sun has been loved by viewers as an actress who is believed to be acting with a stable performance in each piece. She has been featured in the drama as well as in the music video. This popularity has been recognized as one of the stars who received the most love from the fashion and beauty industry, leading to advertising and concentrating the attention of the public as a model of various product groups. She already got attention on what kind of ratings and grades she will receive as a starring film. In addition, Shin Hye Sun's film starring challenge is attracting attention even if she can lead to a new era of women-centered film leading the movie industry, which has currently led by male actors. Lovely Pic from that article. Regarding the SKorean public awareness campaign - 'remembering the 100 thru the last 100 years'. You can catch a glimpse of SHS in the last 8 seconds of the 1st one broadcast on New Year's eve. @immorethant that IG post https://www.instagram.com/p/BsKA8USBpYi/ is funny. The guy asks him what's the prize you covet? And he says, 'Best Couple', then SHS replies the same, 'Best Couple', to which the interviewer says, maybe you two can get a best couple award - Yes! It's happening! The meme has been spreading! Speaking of dresses - this made me laugh! 5 year-old hand me down from Ha Ji-Won, you think? Maybe for good luck, maybe SHS is normally a chimney sweep in HJW's mansion and she got a fairy godmother to help her for the evening out? Cross posting w our busy-bee @immorethant - can't keep up with this grrl. 여풍 - woman-wind - speaking of the continued trend for strong female leads. 신혜선은 지난해 ‘마녀’ 김다미 ‘미쓰백’ 한지민 ‘국가부도의 날’ 김혜수 등 신인부터 톱스타까지 다양한 배우들이 영화에서 색깔 강한 연기를 선보이며 불러 일으킨 여풍을 이어갈 주인공으로 첫 손가락에 꼽히고 있다. Shin Hye-Sun, family-room 'Mitt Bo Bae', will it work in theaters too? 믿보배 is short for '믿고 보는 배우' - 'trust watch actress' - like 'name you can trust' , watch without questioning if you see her name on the title. Thus a new English title for oori-baby Shin Hye-Sun - it's 'Mitt-Bo-Babe'. @meechuttso Thank you so much for the news. I read some articles about this but because of google translation is not good and my Hangul knowledge is even worse, so I am not sure whether this program will be broadcasted on every day or every Saturday ? Also because the preview episode (ep 0) was aired on 31-Dec-2018 and some articles said that the 1st episode will be Kim Yu-Na again so now I'm not sure whether we will see SHS in EP 1 on Jan 5 (this Sat) or EP2 on Jan 6 (Sun) or EP2 on Jan 12 (next Sat) ? Could you please help confirm , so that I won't miss watching it ? Edited - just found this preview clip. But still don't know when it will be aired. YSJ , LJS, LJH , L now I get confused... (too many L and J). Edited - And wow...love this one. 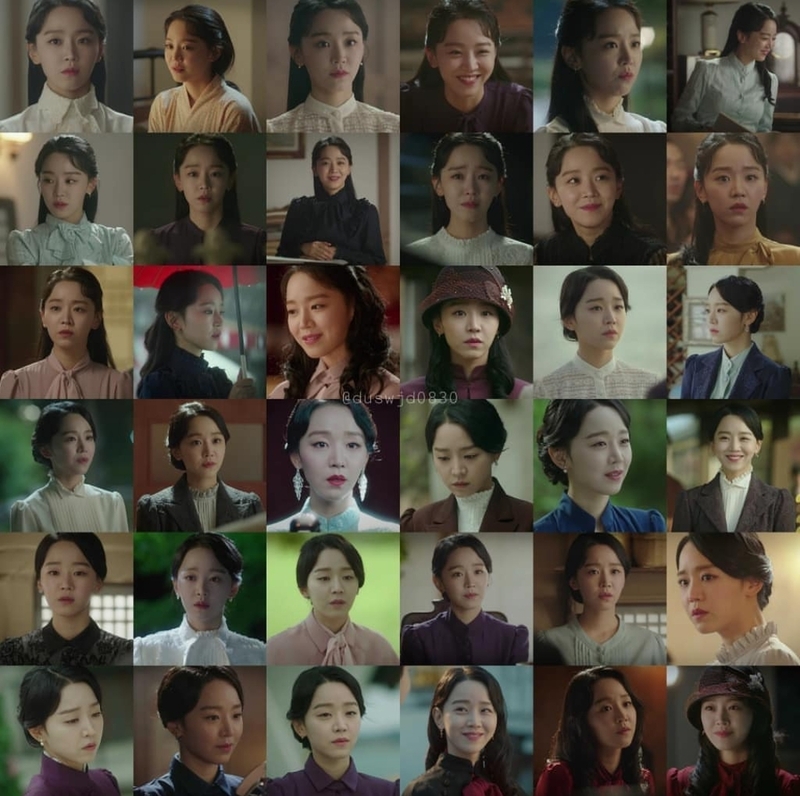 (I also think of making collage like this from all SHS dramas, but it will consume lots of time from me). So, SHS and LJH are pretty much definitely probably possibly going to be co-starring in a drama in Sept/October. Any thoughts on what kind of storyline it could have? I'm hoping for lots of Product Placement!! @immorethant Maybe you can get a hold of the script? More clips from SBS drama awards 2018. LJH and SHS reaction . These cuties!!! Yes to LJH and SHS movie or drama...I am all for!!!! LJH kind of gives me YSJ vibes though, but less of a nervous wreck LOL. Why oh why does SHS only get to pick from this year’s military discharges? I personally want her to someday act with Won Bin, because I think that is her dream and was/possibly still is a goal of hers? I think she would look good with all masculine men like Gong Yoo or Jung IL Woo as well? Translation of SHS's words in her short segment. @immorethant I think it'll air some time on Jan 5th - we have to just check the first link to see if they keep adding new videos updated online - it'll probably be aired during prime time on MBC TV, but each will be 3-minute segments, with little celebrity comments. Because there are 100 celebrities lined up for the 100 people to be remembered (the 1st one with Kim Yu-Na said they want to remember the no-named / unsung heroes of the March 1st movement), I believe there will be more than 1 per day - 60 days or so till March 1st, and also probably aired throughout the month of March, if I had to venture a guess. Do it! Since @kokkuri33 submitted his Dae-Sang 2018 winning poem on the 31st, we are all eligible already for Dae-Sang 2019 already, haha. We'll make sure whatever labor of love you pour into this or any SHS glorification work will be well used here and often. pretty much definitely probably possibly going to be co-starring in a drama in Sept/October. Yes I bet on that too, for sure, totally, like for shur. You capitalist Pig you. Wait till the Chinese New Year to kick in at least, before you try to monetize! Great thing about the 2018 SBS awards was that SHS shows up first and often in everything! Yes it really is hard to keep our eyes off this pair!! Somehow SHS seems to glow just a bit more next to him - I can't imagine why! Oh no, @sunshine92 you naive thing. Who says we only get to pick from the hard-up 9 in the fox-hole? We just wanted to imagine her with the hungriest 9 we could think of - imagine their delight to be paired up with her, even in our thoughts? Yes, they must be signing up for soompi accounts just so that they can 'vote' in our survey - pick me, pick me!! Since you introduce the new fellas, we'll assign numbers to them also. #10 - Lee Je-Hoon - the current one in the basket better than the 9 in the fox-hole. #12 - Jung Il Woo <-- wow, I can't remember the last time he was in anything. Is he still around? #00 - WON BIN - he'll always be Shin Hye-Sun's BAE because he really was before anyone else. Somebody photoshop SHS in a Doosan Bears uniform with #00 Won Bin name on top - I'll pay you in bitcoins. You say, "I love Kang Ha Neul, but am not sure if he will suit SHS..." He's my current favorite. I can't rest until I see SHS in a movie or drama with KHN - her former classmate (you do know this story I hope). SHS looks down at these numbers from @Ni Wen's article - queen of ratings - eat your heart out, Park Bo-Gum, Jo In-Sung, Song Joong-Gi, Hyeon Bin and SYJ! LOL @meechuttso actually those are my favorite, can I add them into our SHS next-co-male-lead survey list too ? Actually I'm ok with any of those candidates because I know SHS will be excellent as always and I will love to see every scene of her acting. Having good script and strong cast are a bonus that make me love that drama more. So the one who should be more nervous pairing with her is the male lead. And I'm sure all male actor now wants to be in a drama with her because they will have more chance to get award at year end. However, about maintaining rating queen status...umm...knowing that both drama will be scheduled in May, I just hope 'One and Only Love' will not be aired on the same day as 'Vagabond' because it's so tough for a fantasy romantic drama to beat that top cast, big budget, action-thriller drama. The bad thing for me right now is that I have to wait for 4 months until seeing her drama again. Hope she will still be in cow-mode and at least give us some advertisements or photo-shoots or MVs or variety show appearances during that time. Me too feeling blue that I can't get to see her on screen till May. I hope she updates her social media more often so we can get to know what she's doing. Surely going to miss her screen presence. I'm now anticipating new casting news of a new drama considering if Dan My Only Love premieres in May and ends in July, she starts preparing for her next drama probably for a Sept broadcast. Because I bet she will still be in active cow-mode in the second half of the year. You are absolutely right that it's not going to be easy for the ratings if her drama goes head to head with Vagabond because we are talking about the "most anticipated" (not for me though hahaha) high budget drama of two big Kstars. We can't help with the ratings but let's hope for the best. Hymn of Death and Praise of Shin Hye Sun. The whole thing is worth the detour for the moving performance of Shin Hye Sun. Shin Hye Sun is the one that shines most throughout Hymn of Death . Very alive and expressive, she slips with finesse in the skin of this woman in love, who cash injustices without departing from her dignity. We are on her side when Woo Jin has the delicacy to make him meet his wife by surprise, after dragging without telling her he was married. Until the end, she expresses with as much subtlety the disarray of her character as the strength of her convictions. She is also very graceful in the costumes of the time, which seem to have been invented for her. For the record, Shin Hye Sun shot Hymn of Death just before Thirty but Seventeen . We appreciate the contrast between the two roles, while secretly having fun as her characters fell each time in love with a man named "Woo Jin". In view of the third episode, the best of Hymn of Death , we can not help thinking that the drama would have been more captivating if Shim Deok had been the main heroine. We would have liked to see her evolve more in the artistic circles of the time, especially at the time of the recording of her famous disc remained mythical. I think the article writer must be a fan of SHS, because she put many nice pics of Shim Deok in that . She also wrote other articles about SHS regarding 30but17, Elle photo-shoot, Snowfall MV. The most loved men and women in the name of newborn babies in Korea in 2018. Made me recall what @meechuttso said that her name became a household name , and now her character's name too. 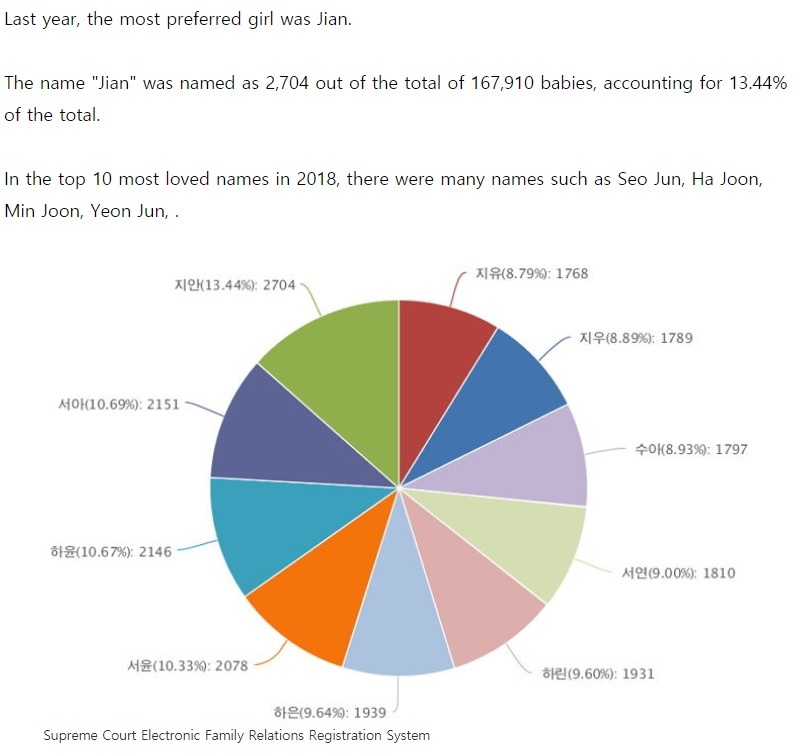 Hopefully in 2019, the most loved name will be 'Jung-In' or 'Yeon-Seo'. What is the pic on the shirt? Really want to help answer you, but I have no idea either. Trying to capture image and search with google photo but found nothing. So I think you probably have to add this question into your letter to SHS too. Have a happy ShinHyeSunday ! Keep smiling , keep shining. Thirty but Seventeen is now #1 for 'Best Family Drama'. SHS is at #3 for 'Best Actress' , but not far from 1st and 2nd place. Sure are a hard working bunch of minions here. This is too funny. In a few years we'll call them all 'Johnny". Here, let me help. And since it's such slow news time again, let's make our own content from the archives stash. This is from 'Angel Eyes'. SHS is the young version of the main lead blind girl's best friend, and here she, knowing that KHN likes the blind girl, lets him know that tomorrow is her birthday so that he can plan something nice for her to celebrate it. I want to see SHS do a different work with KHN when he's discharged in May. This was OK as her very early role with a few lines, but entirely dissatisfying if this were to be the only role she has with this most talented young actor (and her high school classmate). His 경상도 사투리 (hicky accent) was great, and AE was one of those rare dramas when the younger pair did such a fantastic job that they left a much bigger impact as the 'backstory' than the main grown-up couple - in fact once KHN and his counterpart left the screen it was so bad and the story so ridiculous I stopped watching it altogether. Hey kids, this is the bottom of page 114 - somebody start another new page with a beautiful pic please!